Kate Tsui Tsz-shan (Chinese :徐子珊) is a Hong Kong actress, who is best known for her work with Television Broadcasts Limited (TVB), and to an extent, for her film work. She also holds the Miss Hong Kong 2004 title. Prior to winning her beauty queen title, Tsui had originally aspired to become a professional dancer. She had begun practicing ballet since age 4, but was forced to quit when she was 11, due to an injury on her right ankle. At age 14, she had begun to practice Hip Hop and Jazz dance. She is skilled in different interests such as acting, dancing, learning languages, and snowboarding. 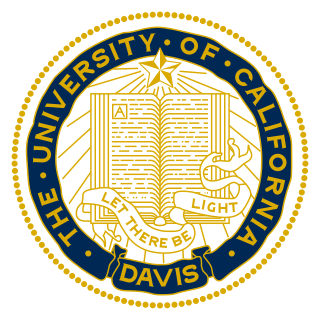 She was educated at Kiangsu-Chekiang College (Shatin), and Queen Maud Secondary School and eventually graduated from the University of California, Davis, majoring in Japanese and minoring in Spanish and Marketing. After completing her degree, she had returned to Hong Kong and worked as a translator and market consultant. She had previously worked at Dah Chong Hong. Kiangsu-Chekiang College (Shatin) is one of the secondary schools in Shatin District of Hong Kong. Following guest roles in The Zone and When Rules Turn Loose in 2005, Tsui made her official TV debut in TVB series, La Femme Desperado in 2006. Professional Taiwanese film critic, Mai Ruoyu, while critiquing Tsui's film performance, had said that Tsui had demonstrated strong charisma and had effectively held her own in La Femme Desperado, even while starring alongside veteran actresses, Sheren Tang and Melissa Ng. Her role as Ida in the series was also nominated in the Best Supporting Actress category, as well as the Favourite Female Character category, in the TVB Anniversary Awards 2006. When Rules Turn Loose is a TVB modern drama series broadcast in December 2005. La Femme Desperado is a TVB modern drama series broadcast in April 2006. The series contains many realistic elements relating to the life of a woman in today's modern society, particularly in Hong Kong. Additionally, in 2011, with the high turnover rate in contracted TVB artists, TVB executive, Virginia Lok, appointed Tsui, Myolie Wu, Linda Chung, and Fala Chen, as the new Top 4 "Fa Dans" (a Cantonese term that is used for actresses with high popularity and status in TVB),  with their predecessors being Flora Chan, Ada Choi, Kenix Kwok, and Jessica Hsuan. With her performance in Eye in the Sky, Tsui earned the Best Newcomer – Gold Award from Hong Kong Film Directors' Guild 2007,  as well as Hong Kong Film Award for Best New Performer from the 27th Hong Kong Film Awards,  held in 2008. The latter is a particularly outstanding achievement, for Tsui is, so far, the only individual to have received a Hong Kong Film Award, while being fully contracted by TVB, since Anita Yuen, who coincidentally is also a Miss Hong Kong pageant winner, won the same award back in 1993. Charmaine Sheh Sze-man is a Hong Kong actress best known for acting in many television series produced by TVB since 1998. Yim Ho (Chinese:嚴浩) is a Hong Kong director most active the 1980s, and a leader of the Hong Kong New Wave. Ivana Wong is a Canadian-HongKongese Cantopop singer-songwriter and actress. In 2015, she won the Best Supporting Actress and Best New Performer Awards in the 34th Hong Kong Film Award for her act in the film Golden Chicken 3. Leila Tong also known as Leila Kong is a Hong Kong actress. She was born into an Indonesian Cantonese family. Her birth name is used in her works during her childhood and adolescence. Lawrence Chou is a Hong Kong-Canadian singer and actor. Josephine Koo Mei-Wah or Gu Meihua is a Chinese film actress. She had a bright start to her film career, starring in Yim Ho's Hong Kong New Wave classic Homecoming (1984). The film won her the Best New Performer Award at the Hong Kong Film Awards in 1985, and also a nomination for Best Actress, but she was beaten by Siqin Gaowa from the same film. Raymond Wong Ying-wah is a Hong Kong film score composer. Among his works is the score for the 2004 martial arts film directed by Stephen Chow, Kung Fu Hustle, which was nominated for the Best Original Film Score in the 24th Hong Kong Film Awards. He also received nominations in the Hong Kong Film Awards for his score to Chow's 2001 film Shaolin Soccer, and for the 1995 Tsui Hark film Love in the Time of Twilight (花月佳期). Benjamin Yuen Wai-ho is a Hong Kong television actor. His career started when he became the winner of Hong Kong's Mr. Hong Kong beauty contest in 2007. 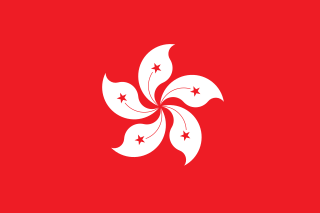 Benjamin is the first winner from Hong Kong as the previous two winners, Matthew Ko and Francois Huynh came from Toronto, Ontario, Canada and France respectively. Toby Leung Ching-kei is Cantopop singer and actress from Hong Kong. She entered the music industry in 2004 when the MusicNationGroup discovered her talent. Together with Macy Chan, Elise Liu (廖雋嘉) and Bella Cheung (張曼伶) they formed the singing group Girl's only Dormitory (女生宿舍) which eventually disbanded. Her father, Tommy Leung, was also the deputy-chief director of drama in TVB, which allowed her to enter the acting career. She signed with TVB and became a contracted artist, but has left for rival ViuTV. River Huang is a Taiwanese actor. He is the first actor signed by the director Yee Chin-yen. At age 18, Huang won the Best Actor award at the Golden Bell Awards for his debut role in Dangerous Mind, making him the youngest actor to win in that category. In 2009, he starred in Swedish-Taiwanese film Miss Kicki. And in 2010, he starred in Juliets, a Taiwanese film inspired by William Shakespeare's tragic love story Romeo and Juliet. Siqin Gaowa, born Duan Anlin, is a Chinese actress with a Han Chinese father and a Mongolian mother. She was born in Guangzhou. Her father died early and she was brought up by her mother in Inner Mongolia. She is married to musician Chen Liangsheng (陈亮声) since 1986 and currently holds Swiss citizenship together with her husband. Soh Hang-suen, , was a Hong Kong actress. Soh worked for TVB during its Golden Age, joining in 1974, and was most notable for her role in Looking Back in Anger. Soh ran her own vegetarian restaurant in Tsim Sha Tsui. She died on 12 June 2013, after complications arising from a stroke. The 17th Miss Chinese International Pageant, Miss Chinese International Pageant 2005 was held on January 29, 2005 in Hong Kong. The pageant was organized and broadcast by TVB in Hong Kong. Miss Chinese International 2004 Linda Chung of Vancouver, British Columbia, Canada crowned Leanne Li as the new winner. Li was the fourth winner from Vancouver to win the crown and the second time a consecutive win occurred. Becky Lam (林碧琪) is a Hong Kong actress. She won the Hong Kong Film Award for Best Actress at the 2nd Hong Kong Film Awards. Lala Hsu is a Taiwanese singer-songwriter. 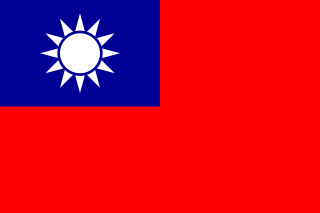 Hsu was born in Hualien County, Taiwan, and grew up in Taichung. Vicky Wong Wai-kit is a Hong Kong film director. He co-directed the 2016 film Trivisa produced by Hong Kong film director Johnnie To and screenwriter Yau Nai Hoi. Trivisa has won numerous awards including Best Screenplay, Best Editing, Best Actor, Best Director and Best Picture at the 36th Hong Kong Film Awards, Best film at the Hong Kong Film Critics Society Award. Vicky was also nominated for Best New Director at the 53rd Golden Horse Film Festival and Awards. The Tag-Along 2 is a 2017 Taiwanese horror film directed by Cheng Wei-hao. It is a sequel to The Tag-Along (2015), which is adapted from the well-known Taiwanese urban legend, "The Little Girl in Red". The film stars Rainie Yang, Hsu Wei-ning, Francesca Kao, Lung Shao-hua and River Huang. It was released on August 25, 2017. Kolas Yotaka, formerly Yeh Guanlin, is an aboriginal Taiwanese politician and journalist. ↑ "专访无线艺人徐子珊 看香港小姐的成长" (in Chinese). 搜狐娱乐. 2007-01-25. Retrieved 2015-11-08. ↑ "TVB新当家花旦徐子珊家庭背景揭秘" (in Chinese). 爱靓网明星. 2015-06-20. Retrieved 2015-11-08. ↑ "徐子珊恨拍拖紅底催旺" (in Chinese). 東方日報. 2011-01-28. Retrieved 2015-11-08. ↑ "徐子珊自爆全家搬晒去台灣" (in Chinese). 東方日報. 2014-11-13. Retrieved 2015-11-08. ↑ "提名名單：徐子珊" (in Chinese). 鳳凰網娛樂. 2010-04-02. Retrieved 2011-11-28. ↑ "香港小姐冠軍徐子珊專訪" (in Chinese). 南方都市報. 2004-08-19. Retrieved 2011-11-28. ↑ 麥若愚 (2008-04-06). "看港片年度成績單, 香港電影金像獎高過台灣金馬獎" (in Chinese). 麥若愚的電影世界. Retrieved 2015-11-09. ↑ "樂易玲打造無線新四花旦 陳法拉胡杏兒接旨" (in Chinese). 北京新浪網. 2011-03-27. Retrieved 2015-11-09. ↑ "《雷霆掃毒》完結 結局悲情遭吐槽" (in Chinese). 紅網. 2012-11-07. Retrieved 2015-11-09. ↑ "視后肉搏戰 徐子珊1秒輪姦VS楊怡1分鐘鼻頂" (in Chinese). 蘋果日報. 2012-10-27. Retrieved 2015-11-09. ↑ 葉念琛 (2012-09-28). "影迷情琛 – 子珊加油" (in Chinese). 頭條日報. Retrieved 2015-11-09. ↑ "亞洲電視大獎公布入圍名單 徐子珊陳茵薇提名" (in Chinese). Yes娛樂新聞中心. 2013-11-16. Retrieved 2015-11-09. ↑ "徐子珊獲讚演技精湛" (in Chinese). 東方日報. 2014-01-27. Retrieved 2015-11-09. ↑ 高 梁 (2014-01-28). "第三位極品靚女出爐" (in Chinese). 澳門日報. Archived from the original on 2015-11-19. Retrieved 2015-11-09. ↑ "傳失寵離TVB 徐子珊：等份約自動完" (in Chinese). 蘋果日報. 2015-08-02. Retrieved 2015-11-07. ↑ "徐子珊身價三千萬　心郁闖影壇" (in Chinese). 東方日報. 2015-09-12. Retrieved 2015-11-07. ↑ "約滿無綫獲多家公司爭奪 徐子珊唔憂無後路" (in Chinese). 星島日報. 2015-08-16. Retrieved 2015-11-09. ↑ "港姐徐子珊處女作「跟蹤」表現佳 星運備受期待" (in Chinese). 大紀元. 2007-06-27. Retrieved 2015-11-08. ↑ "《錦衣衛》徐子珊造型曝光 性感出鏡惹盡春光" (in Chinese). 新浪娛樂. 2009-10-16. Retrieved 2015-11-08. ↑ "香港電影導演會頒獎 徐子珊鐘嘉欣首獲新人獎" (in Chinese). 網易娛樂. 2008-03-10. Retrieved 2015-11-10. ↑ "徐子珊奪金像獎最佳新演員獎" (in Chinese). 商業電台. 2008-04-13. Retrieved 2015-11-07. ↑ 麥若愚 (2008-04-06). "看港片年度成績單, 香港電影金像獎高過台灣金馬獎" (in Chinese). 麥若愚的電影世界. Retrieved 2015-11-08. ↑ "《金钱帝国》孟瑶刘洋徐子珊借戏斗脑斗胸" (in Chinese). 新浪娱乐. 2009-04-17. Retrieved 2015-11-08. ↑ "徐子珊《锦衣卫》挑战杀手 不惧性感出镜" (in Chinese). 新浪娛樂. 2009-06-12. Retrieved 2015-11-08. ↑ "徐子珊新片演思觉失调有难度 请教吴镇宇学演技" (in Chinese). 腾讯娱乐. 2011-12-16. Retrieved 2015-11-08. ↑ "吳鎮宇:沒說胡杏兒演技差 徐子珊黃宗澤有潛力" (in Chinese). 新華網. 2012-01-03. Retrieved 2015-11-08. ↑ "叶玉卿复出参演曾志伟监制的《王牌情敌》" (in Chinese). 北京青年报. 2013-05-24. Retrieved 2015-11-08. ↑ "葉玉卿復出挑起戲癮‧曾志偉點名讚徐子珊鄭欣宜" (in Chinese). 星洲日報. 2013-02-06. Retrieved 2015-11-08. ↑ "九把刀新片《我的情敵是超人》開拍" (in Chinese). 台北市電影委員會. 2013-07-26. Retrieved 2015-11-08. ↑ "《冲上云霄》电影版 郑秀文做何年希 佘诗曼踢走徐子珊" (in Chinese). HK Channel. 2014-07-01. Retrieved 2015-11-08. ↑ "徐子珊曾拒绝吴家丽邀约" (in Chinese). 发烧影视. 2015-08-21. Retrieved 2015-11-08. ↑ "怕鬼吳家麗　執導驚慄片遭取笑犯賤" (in Chinese). 東方日報. 2015-03-24. Retrieved 2015-11-08. ↑ "不忍宰老鼠 徐子珊爆哭" (in Chinese). 世界日報. 2015-01-11. Retrieved 2015-11-08. ↑ "徐子珊升呢 踩過界變身珠寶設計師" (in Chinese). me!週刊. 2015-12-11. Retrieved 2015-12-14.